Reyhanly. Turkey. 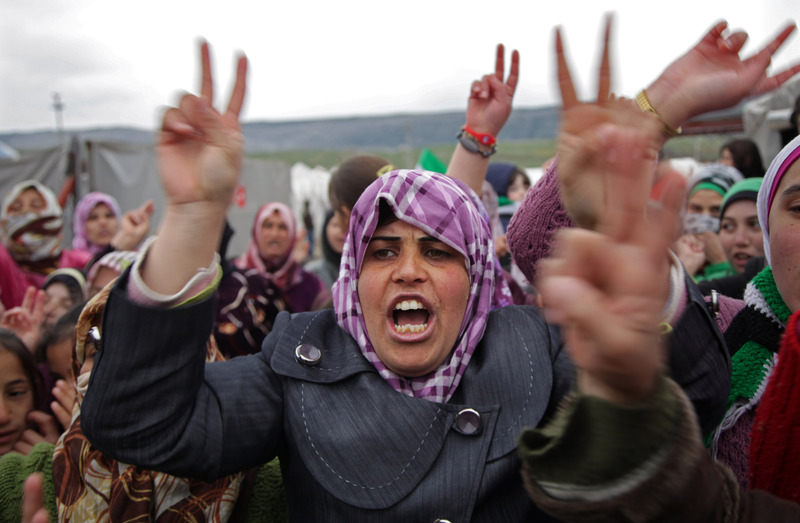 16 March 2012\nWomen protesting against the Assad regime at their refugee camp on the Syrian border.